Kate and Rosa here...welcome to MGA. As a small practice we devote time to ensure that each project is resolved and supported with a high level of coordination and documentation to achieve the highest quality. We enjoy working with our clients to achieve their vision within their budget constraints. Our philosophies and work ethic are conducive with meticulous and comprehensive detailed design. We strongly believe that every element incorporated in our buildings should have a functional or structural purpose. We see every project as a whole and can offer additional assistance in interior architecture, bespoke furniture design, and landscape design. We are a responsive and energetic practice, focussed on meeting our client’s budget and programme requirements. Our mission is: TO PROVIDE PRACTICAL, INTELLIGENT AND CREATIVE SOLUTIONS TO OUR CLIENTS THROUGH THE DELIVERY OF ECONOMICALLY, ENVIRONMENTALLY AND SOCIALLY RESPONSIBLE BUILDINGS. 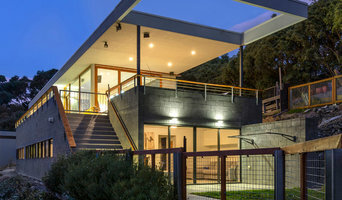 We work across a range of project types and scales, principally in Tasmania and Victoria, including government, hospitality, single and multiple residential projects, mixed developments and shop, office and interior fitouts. We have offices in Melbourne and Hobart and are also registered and currently working in NSW and Queensland. Misho + Associates have developed a strong relationship with their clients who value the teams ability to both listen to their requirements and ensure that the first principles of the design are never overlooked – from micro conditions through to macro: a lamp fitting to an airport terminal. At Spark Design Lab we believe in developing site-specific designs that respond to the ‘Genius Loci’ or the sense of place of the site. Once the character of the site is fully understood and appreciated then we can deliver a building that is sympathetic to these inherent qualities. Through doing this we aim to create a building that is more than the sum of its parts. We will take your project from an initial spark of an idea, fostering the concept throughout the various phases and hold points so that your vision can become a reality. Established in 2002, Core Collective is an award-winning Architecture & Design studio based in Hobart, Tasmania. We approach each new project with a fresh outlook, responding to its unique qualities and requirements. We collaborate with others in the construction and creative industries, delivering projects that achieve excellent ecological and design outcomes. Maguire + Devine Architects is a young and dynamic architecture studio based in Hobart, Tasmania, with projects all over Australia. Hugh Maguire and Dan Devine's shared values about social architecture and sustainability lead them to apply a contemporary design sensibility to form, space and material, responsive to context and climate. A Workshop is a small, multi-disciplinary practice established by Paul Wakelam. The workshop covers architecture, sculpture, landscape design, graphic design, set/installation/design and performance, and strategic thinking. 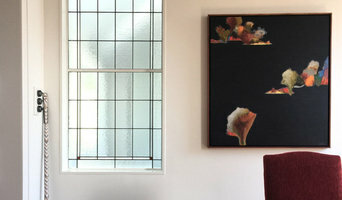 The practice operates from a studio in Launceston, Tasmania and Toodyay, Western Australia. Project management and implementation take place in parallel with model making, prototyping and experimentation with ideas, materials and manufacturing processes. We are a design studio providing the full range of architectural consultancy services. Our wholistic approach balances the requirements of the client, site, environment and technology. Ideas can be developed from the initial sketch design stage through to the completion of your project, including post-contract services. We are currently involved in a wide range of projects, including residential, multi-unit developments, commercial fitouts and refurbishments. 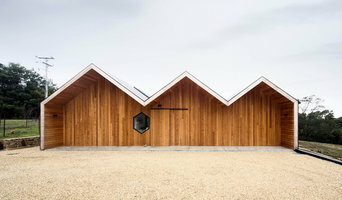 JAWSARCHITECTS, one of Tasmania’s most dynamic and enterprising team of architects and designers, has evolved from the architectural practice founded by Harry Hope in the 1930s. The practice encourages an interactive and collaborative design process within the office to produce exciting ideas that draw from a wide range of experiences. The present directors of the company are Neal Mackintosh, David Button and Scott Verdouw, joined by associates Fiona Graham and Catherine Williams. JAWS is based in Hobart, however our staff carry out commissions all around Tasmania, with interstate work undertaken in collaboration with mainland colleagues. Our work covers tourism, recreation, education, health, local government, commercial and residential sectors as well as urban design, interior design and building conservation projects. We actively pursue a diversity of projects and are highly regarded for our fiscal management and our ability to produce economic, efficient buildings whilst maintaining a passionate commitment to design excellence and the needs of the client. The firm’s commitment to quality of design is substantiated by the numerous awards and commendations it has received in recent years. The company launched JAWS2 (we design things) as a discrete business unit operating independently and offering design services complementary to JAWS, enriching the spirit of our architecture. ehabitat is a modular, prefabricated building system that can be tailored to suit your requirements and your environment. It combines true sustainability with beautiful, modern aesthetics. 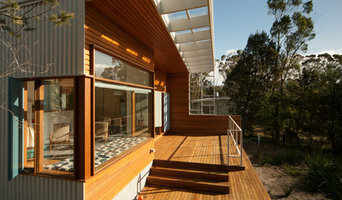 Cumulus Studio is an award-winning emerging architecture practice with offices in Hobart, Launceston and Melbourne. The three offices operate as one combined studio, providing flexibility in the size and scope of work undertaken and ensuring a cohesive and collaborative approach to all projects. The studio consists of 14 designers and includes 7 registered architects and specialists in heritage, urban design and interior architecture. Cumulus also regularly collaborates with a number of external specialist consultants from across Australia for the co-ordination of a broader range of services from feasibility studies and brand management through to contract administration and post occupancy evaluation. Although the practice has only been operating since November 2011, the team have already completed several high profile projects in the tourism, education and residential sectors and are currently working on a number of exciting civic, recreation and commercial proposals. ¿Qué hace un arquitecto en Cambridge, TAS, AU? Los arquitectos son profesionales encargados del diseño y la construcción de las edificaciones y su entorno. Ya se trate de una casa, una vivienda unifamiliar en un edificio o un bloque de edificios, estos profesionales se encargan de analizar, diseñar, proponer, ejecutar y supervisar todo el proceso de construcción. Los estudios de arquitectura en Cambridge, TAS, AU se encargan a menudo de encontrar y coordinar el trabajo de arquitectos técnicos, contratistas y otros profesionales involucrados en la construcción de edificios. Además de supervisar a otros expertos, los estudios de arquitectura dedican mucho tiempo a entender las necesidades del particular y a diseñar planos para proyectos de reformas o nueva construcción. ¿Cómo elegir arquitecto en Cambridge, TAS, AU? Encontrar al profesional adecuado para la arquitectura y diseño de interiores y/o exteriores es fundamental. Por ello, encontrar a una persona que se involucre a lo largo del proceso de construcción del inmueble es básico. 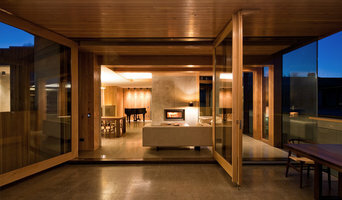 Antes de decidirte por un estudio de arquitectura en Cambridge, TAS, AU, plantea tu reforma a varias firmas y valora el estilo arquitectónico, comprueba otros proyectos arquitectónicos y su experiencia en diseño y reforma de casas. Pregunta por referencias, tanto a los profesionales como a tus conocidos, y asegúrate de que el arquitecto en cuestión cuenta con ingenieros, diseñadores de interiores y constructores de confianza entre sus contactos. A pesar de que el presupuesto es un aspecto fundamental, no dejes que este te ciegue a la hora de valorar distintas propuestas.Es más importante entenderte con el estudio y que tus necesidades sean escuchadas y consideradas durante todo el proceso para que consigas el resultado que buscas en tu reforma o proyecto de construcción. Actualmente, los estudios de arquitectura en Cambridge, TAS, AU ofrecen representaciones de todo tipo de la futura vivienda e, incluso en algunos casos, renderings en 3D o diseños en 3D a sus clientes para que estos puedan entender cómo será el inmueble. Tú conoces tus necesidades y las funcionalidades y el estilo arquitectónico que quieres que tenga tu hogar ya sea arquitectura moderna, arquitectura contemporánea, etc; por ello, asegúrate de que el profesional que contratas te escucha. Si alguna propuesta no te convence, no dudes en hacérselo saber al arquitecto: estos expertos dominan los retos y saben cómo encontrar la mejor solución a tus problemas. Encuentra arquitectos en Cambridge, TAS, AU. Mejora los resultados de búsqueda en la sección “Profesionales” incluyendo el nombre de tu ciudad o comunidad autónoma. Puedes consultar las fotos de los proyectos realizados por los profesionales de Madrid, Comunidad de Madrid para encontrar expertos que hayan trabajado en proyectos similares al tuyo, además de obtener inspiración de otros proyectos ya acabados. También puedes solicitar presupuesto directamente al hacer clic en uno de los servicios que proporciona los arquitectos de tu zona en la parte superior de esta página.